Okay, for those of you who have read the previous edition to this article, I am not going to bother with an explanation regarding what street food is, how it tastes, what are its benefits and the like. However, for those who are reading about street food for the first time, this article will surely prove to be a pleasant surprise. 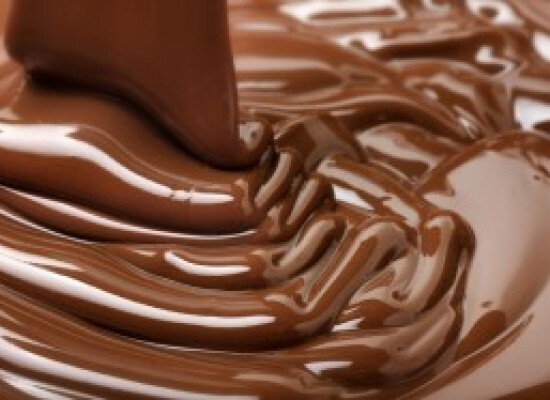 And dare I say both for the tummy and the mind! Street food can be of various types. It can include heavy or light food items as per your hunger pangs. Well, in this article, I would like to satisfy those among you who prefer the former category. Often while returning from work or from school or from college, you find your stomach rumbling. Really loudly! Well, what to do? You know that having food from the street is not really the safest bet for your health. But what is the alternative then? It is really simple actually. Just make those street food items which you have been craving for God know how many days at your own home! Follow the recipes given below to get the most satisfying and sumptuous results with the utmost amount of ease on your part. I assure you that you will not be disappointed in the least. Simply read on to find out more! 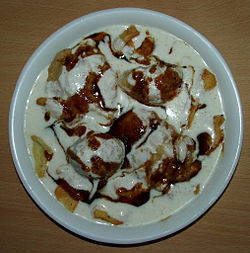 Dahi Papdi Chaat is a very popular north Indian (Maharashtrian) street food item. Chaat essentially means a Hindi word which literally means ‘to lick’. It is now used to describe a whole range of savoury snacks and fast food items across Indian and in some places abroad as well. 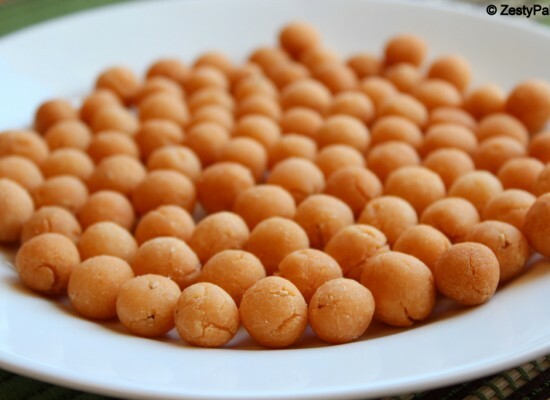 Papdi refers to the special crisp fried dough wafers which are made in a special way by using refined white flour and oil (mustard usually) as the main ingredients. •Whisked Yoghurt: 1 ½ cups. •Boiled and Chopped Potatoes: 2 medium sized. •Blanched Sprouted Green Gram: ½ cup. •Red Chilli-Garlic Chutney: ¼ cup. •Sweet Tamarind Chutney: ¼ cup. •Roasted Cumin Powder: 1 tsp. •Red Chilli Powder: ½ tsp. •Fresh Coriander Leaves: According to use. •Peeled Pomegranate (Anar): 2 tbsp. •Add salt and sugar to the yogurt and whisk further till it has arrived at a smooth consistency. Keep the mixture in the refrigerator till use. In the meantime, arrange the Papdis on a medium-sized plate. •Place some of the chopped potatoes over each Papdi. Over that, put some boiled sprouted moong. Drizzle a little Red Chilli-Garlic Chutney, Green Chutney and Sweet Tamarind Chutney over those. •Sprinkle cumin powder, chaat masala, a little red chilli powder and salt. Top it all up with the chilled yogurt mixture. •Drizzle some more of the Sweet Tamarind Chutney and the Red Chilli-Garlic Chutney. Then add the coriander leaves, Sev and the pomegranate pearls on top at the end. 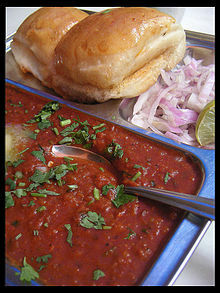 Pav Bhaji is an exceedingly popular Maharashtrian street food item that traditionally originated in the Mumbai cuisine. 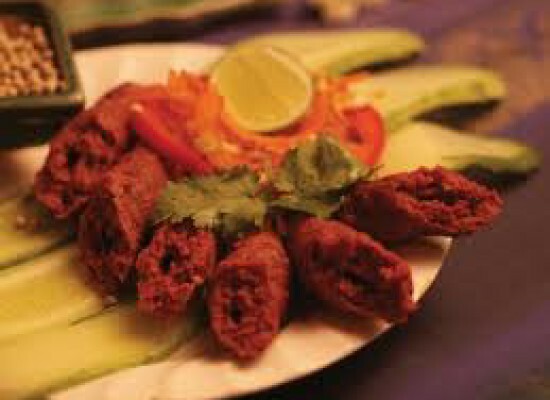 While the Bhaji part of the dish is a traditional Indian name for a vegetable dish, the Pav or Pau or Pao was the Portuguese word for bread (small rolls). Pav Bhaji is native to Mumbai and has now become popular in almost all the metropolitan areas in India especially in those of central and western Indian states such as Gujarat and Karnataka. •Pav Bhaji Masala Powder: 1 ½ tbsp. •Ginger Garlic Paste: 1 ½ tbsp. •Finely Chopped Tomatoes: 3 medium sized. •Tomato Sauce (Optional): 4 tbsp. •Lemon Juice (Optional): 1-2 tsp. •Finely Chopped Onion for Garnishing (Optional): 1 small sized. •Coriander Leaves for Garnishing: According to requirement. •Butter/Oil for Bhaji: 1 tbsp. •Additional Butter for Pav: According to requirement. •Pav (Buns): 6 to 8. •Add the butter or oil in a pan and heat it up. Add the chopped onions and fry till they turn translucent. Then, add the ginger garlic paste and fry till it gets fragrant. •Add the chopped tomatoes, the turmeric powder and then sprinkle salt. Continue to fry till the tomatoes turn soft and mushy. •Add the chilli powder, extra salt and Pav Bhaji Masala powder. Mix well and fry for another 2 minutes. •Pour water so that it is just enough to cover the vegetables. •Add the coriander leaves. Mix well and mash the curry if you desire a smooth Bhaji. •Cook till the consistency of the gravy becomes thick. 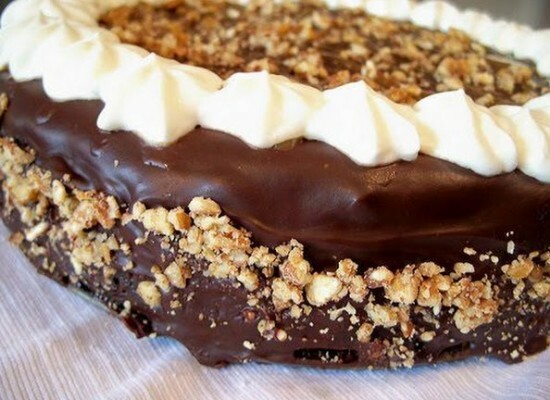 •Slit the Pav buns horizontally leaving one edge intact. •Heat the butter on a pan. Open the buns and toast it for a minute or two. If you like to make it spicier, sprinkle some Pav Bhaji Masala Powder on the inner side. 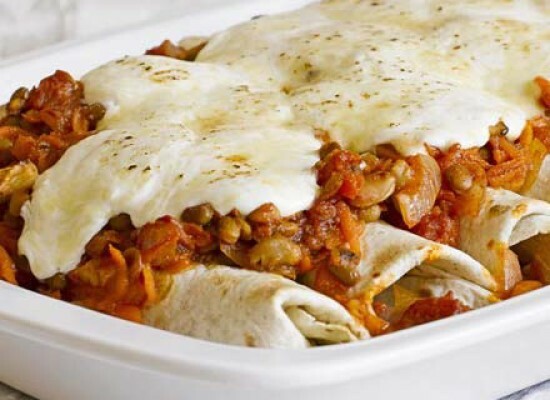 •Garnish with onions and serve either hot or warm. So, there you are. I am sure that you must be salivating by now if you have read through the recipes and seen the pictures. Especially if you are on an empty stomach! Well, then. Why the wait up? Go to the kitchen and start cooking. 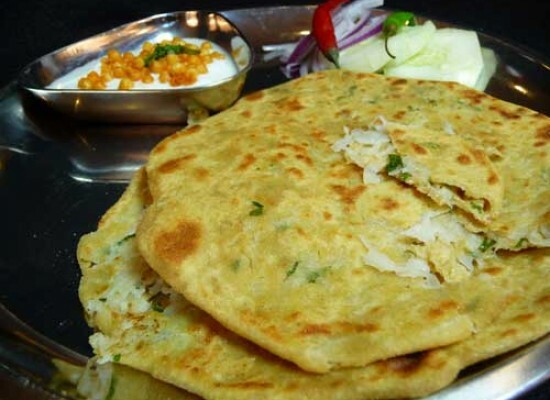 Nobody is going to stop you from devouring these delicious food items once you are done!